Assemblywoman Hansen to visit SNACS! Assemblywoman Alexis Hansen to visit SNACS! Assemblywoman Alexis Hansen plans to visit SNACS on December 6th to learn about the SNACS model. The SNACS Model is an innovative model where we promise PERSONALIZED LEARNING for ALL CHILDREN through PLAY and EXPLORATION via CHOICE through SMALL SCHOOL COMMUNITY! 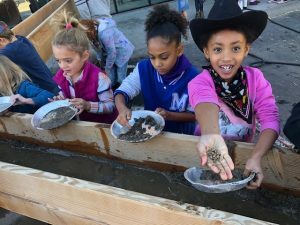 Students explore Nevada mining through hands-on gold-digging exploration. Student leaders teach fellow student and manage the hand-made mining activity. 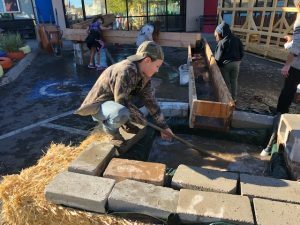 Students work together to plant and cultivate sustainable vegetables. The SNACS model promotes social-emotional, academic (college readiness), and workforce development as students learn to make choices and discover their preferences. We are building human capital through increased engagement, which leads to increased achievement. 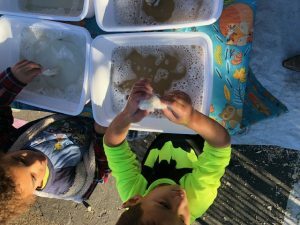 Increased opportunities to engage in hands-on learning leads to decreased behavior issues. 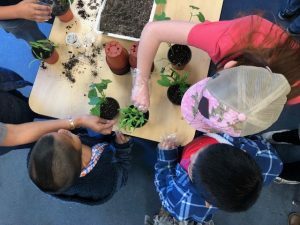 Teaching students how to self-regulate their time teaches them to take responsibility for their education, think critically, and ultimately disrupts the prek-to-prison pipeline of traditional education models, poverty, and systemic dysfunction. Our students can and will succeed through our model! An effective teacher with a carefully structured classroom is the #1 force in decreasing and eliminating the achievement gap! Assemblywoman Hansen is interested in “facts and empirically driven results with our children’s future in mind.” She has “long been a fan of great educational innovators such as Marva Collins and Geoffrey Canada.” Both of whose philosophies are embedded in the SNACS mission, vision, and core values. Marva Collins developed “the Collins Method” delving deeper into curriculum by engaging at-risk, highly impoverished children, in their education during the 1960-70s—at a time when America was in flux. Click here to learn more about Marva: https://www.theobjectivestandard.com/2018/08/marva-collins-her-method-and-her-philosophy-for-living/ Geoffrey Canada, is known worldwide for his work on the Harlem’s Children Zone where he has lead the transformation of thousands of lives through his belief that all students can and will learn, in spite of adversity. Click here to learn more about Geoffrey: https://hcz.org/about-us/leadership/geoffrey-canada/. Assemblywoman Hansen “looks to reforms that have proven to be successful and not rely on answers from the same sources that continue to give us failing outcomes.” We are excited to share the SNACS Model with Assemblywoman Hansen as we are truly innovative in promoting college and career readiness through high-quality academics and building human capital and workforce development. Our innovative model promises PERSONALIZED LEARNING for ALL CHILDREN through PLAY and EXPLORATION via CHOICE through SMALL SCHOOL COMMUNITY! 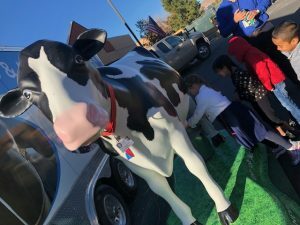 SNACS partnered with Nevada Department of Agriculture to teach students about farming. 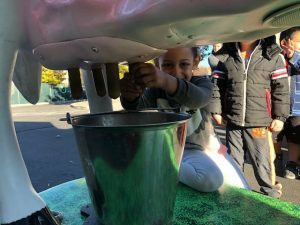 Students had an opportunity to milk Besty the Nev-ah-dah- cow. Students worked through the process of sheering sheep, then cleaning and drying wool to be spun. Assemblywoman Alexis Lloyd Hansen is a 5th generation Nevadan, a long-time business owner, a wife of 37 years to Ira Hansen, a proud mother to their 8 children and 15 grandchildren, and a Blue Star Mom. ​Assemblywoman built her platform on the understanding that Nevada’s future depends on competent, committed, conservative leaders. As our representative, SNACS is excited to have an elected official who listens and will carry our concerns forward into positive legislative decisions that impact the quality of life at SNACS. Assemblywoman Hansen says she is deeply invested in representing our families, our businesses, and our community’s best future. We are excited to have her learn about SNACS small school community! To learn more, please visit her website: https://www.alexishansennv.com/about-alexis. 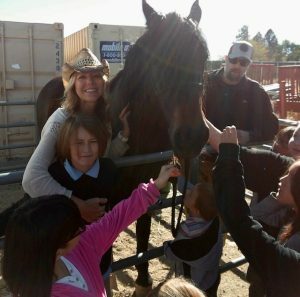 SNACS partners with BLM and learn about our wild mustangs!